In this hectic world, where stress is surrounded everywhere, its very importance we have some stress buster. 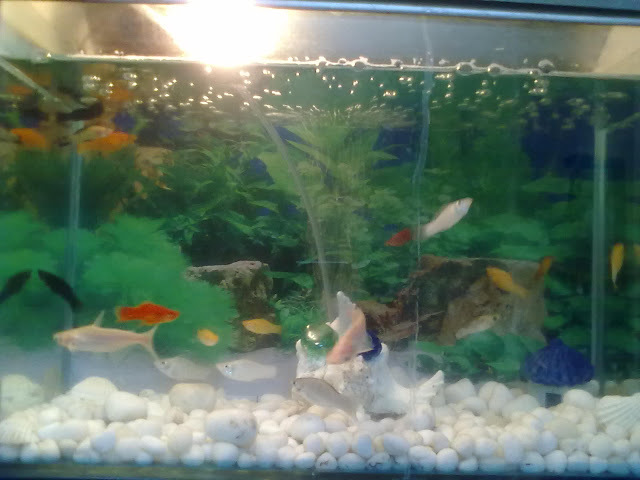 One of the stress buster is having a fish aquarium in your house. Its a proven fact that aquariums have an effect on people (a healthy mind, body and spirit). An aquarium helps you rest, relax, find tranquility and harmony, it reduces stress. 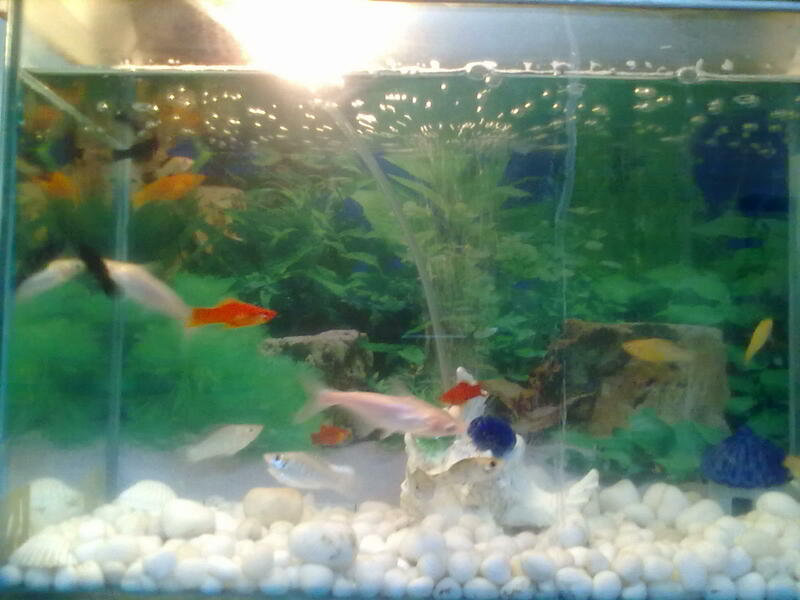 Watching aquariums has been medically proven to reduce stress and lower blood pressure. After a long and tiring day, relaxing on your couch or in your bed means so much more when you're watching your happy fish swimming around in your "living work of art." 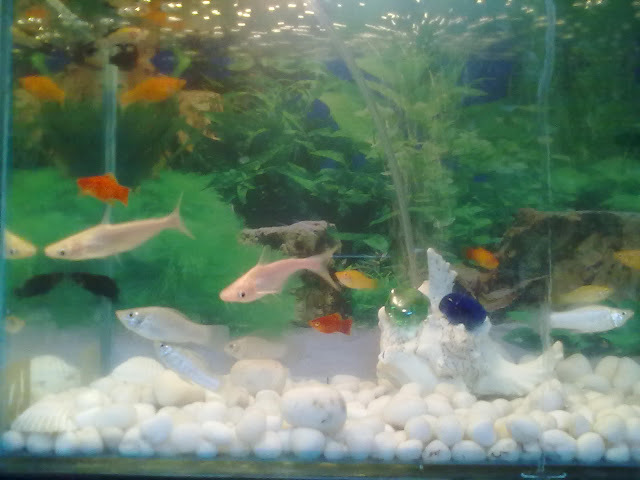 Here is the fish aquarium in my house.